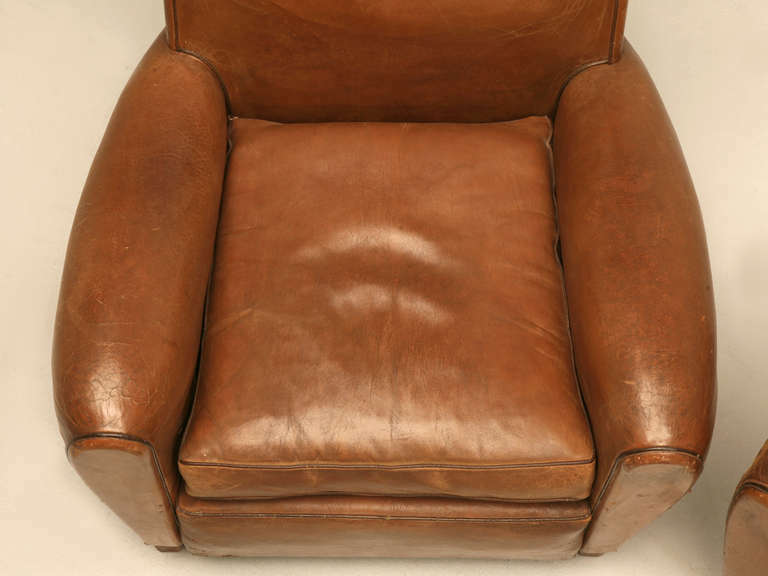 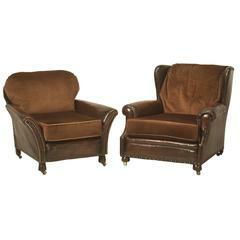 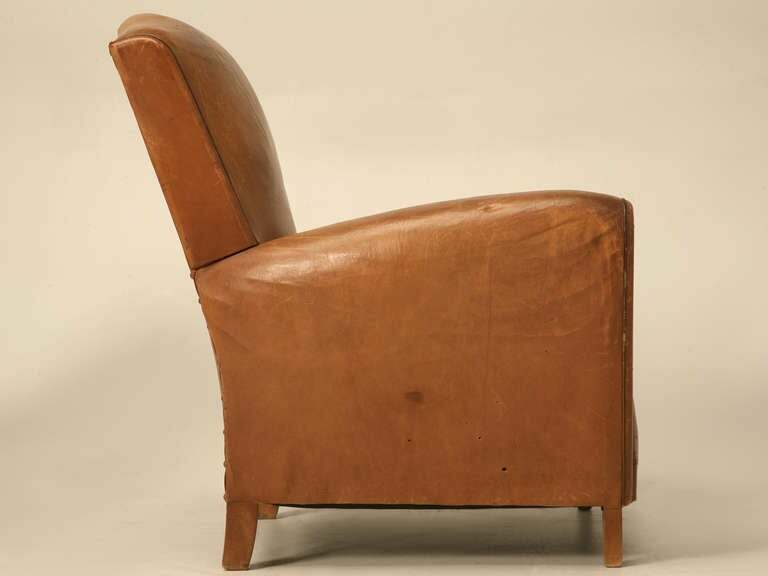 Pair of French club chairs in their original leather, circa 1930s. 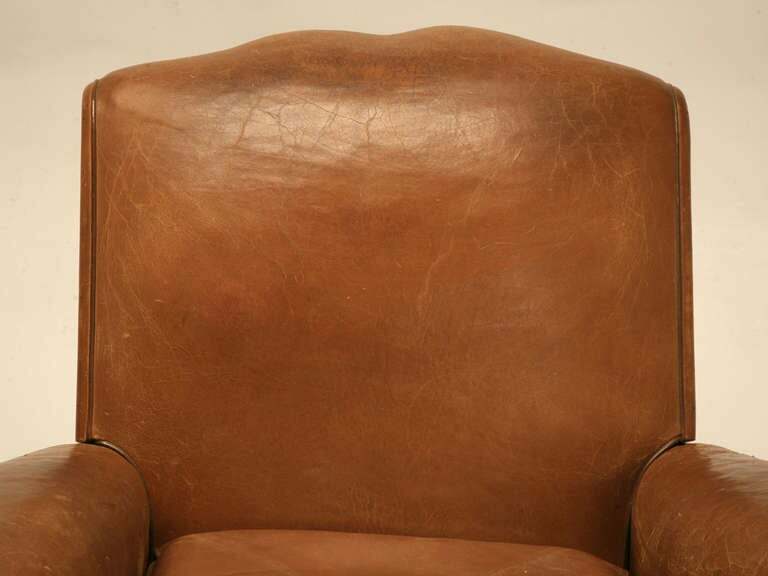 Like all the club chairs we offer for sale, each and every chair has the bottom opened for a thorough inspection to ascertain what is required before it can be sold. 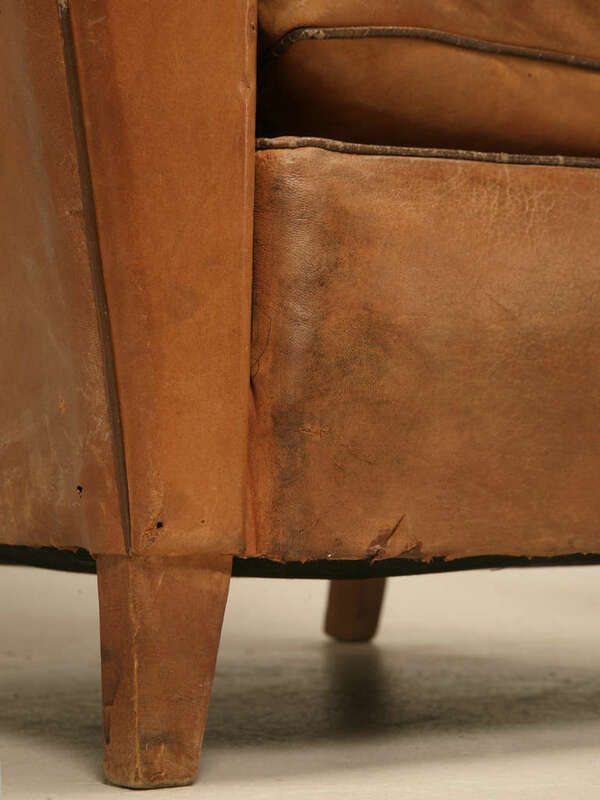 At the bare minimum, we always have to clamp and re-glue the arms, and more often than not we either replace all the springs, or re-tie the springs. 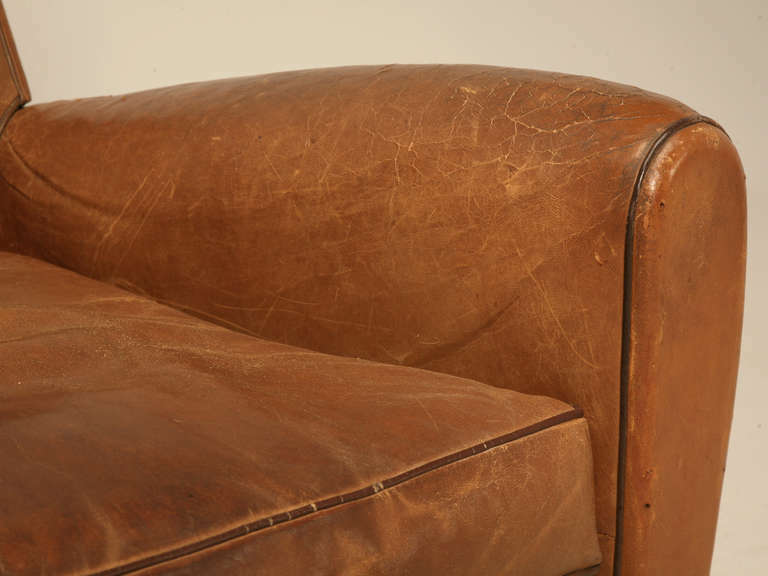 Horsehair is added where required, and we will not use foam rubber as a cheap substitute. 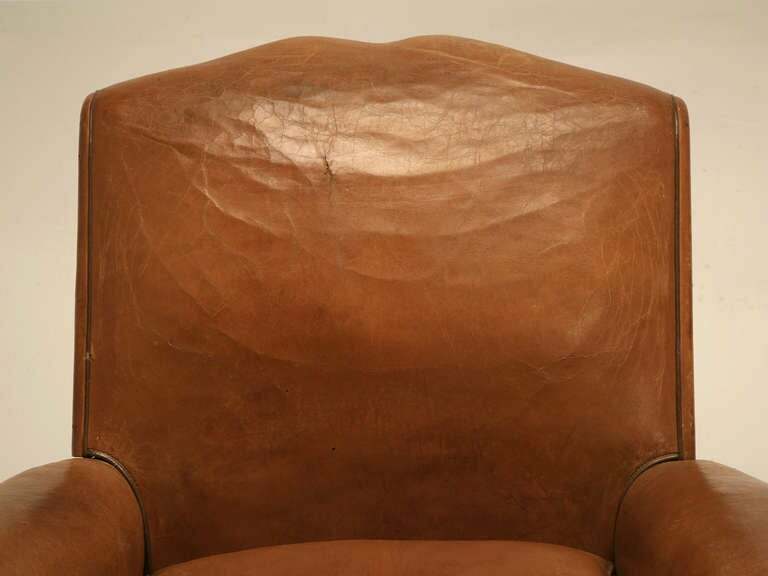 Everything we do during restoration process is designed to make the chairs as comfortable as humanly possible, while avoiding short-cuts. 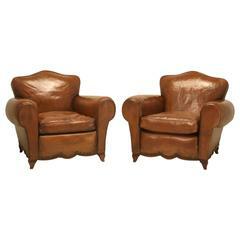 Pair of 1930s English leather club chairs. 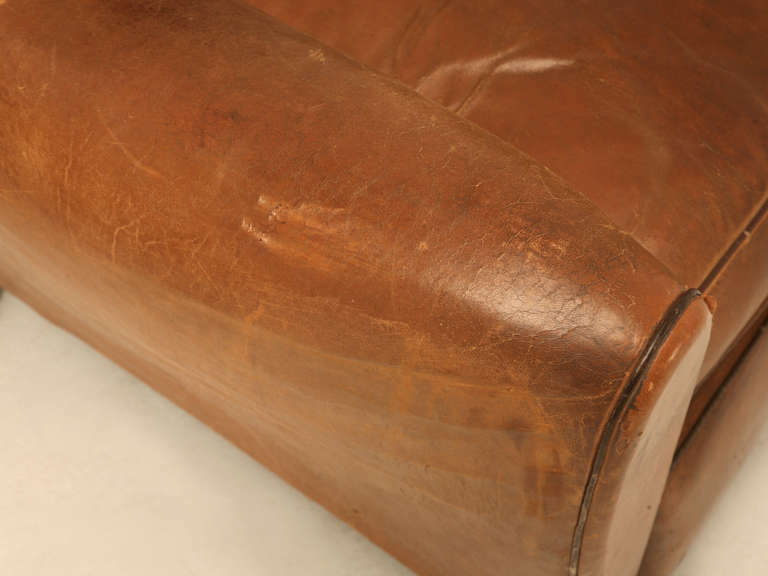 Has wood bracket feet. 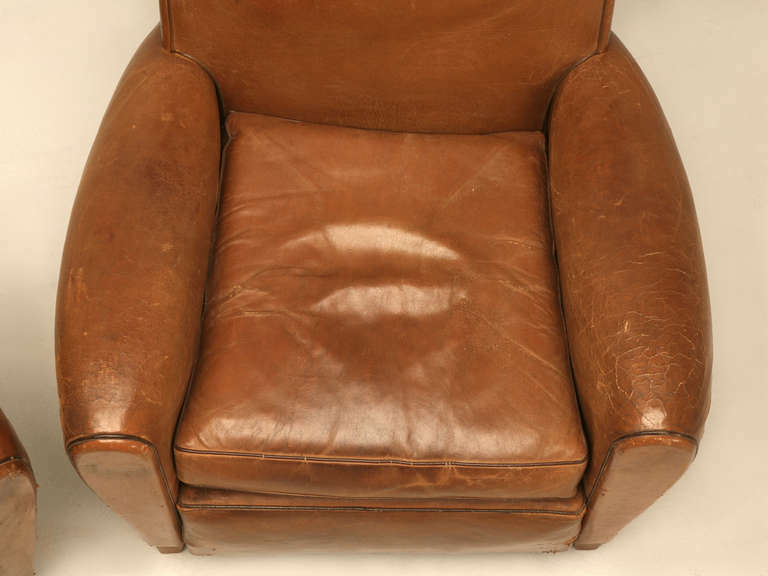 In original vintage condition. 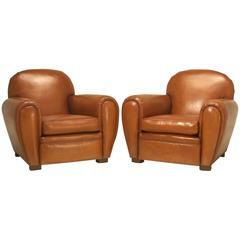 Pair of 1930s Danish leather club chairs. 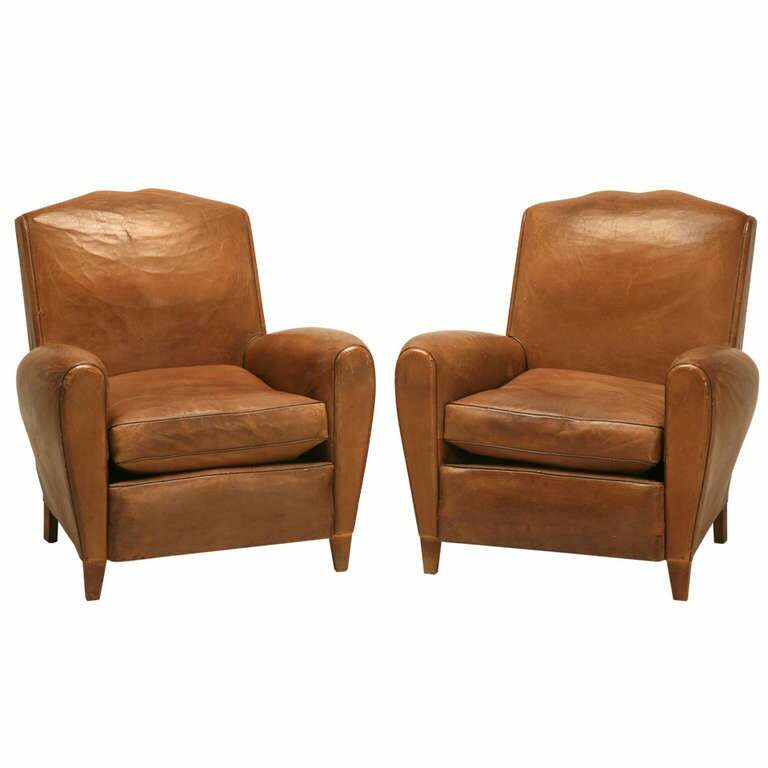 (Last 2 images are examples of the same pair of chairs and not included in the listing). 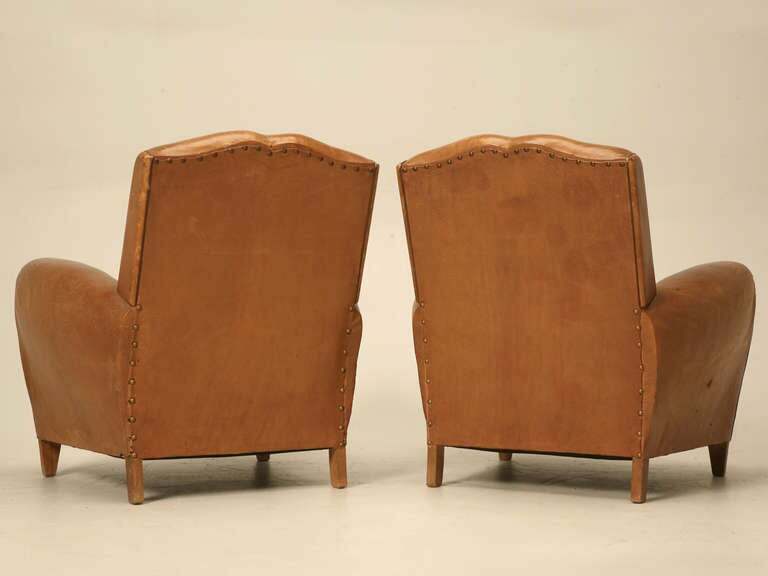 Pair of 1930s Scandinavian club chairs covered in Pierre Frey Mohair.